The two individuals that appear in this video were involved in stealing a 2009 Arctic Cat side by side on September 06, 2018. The side by side is silver and blue ice in color. The side by side was stolen from the 500 block of Odd Road. 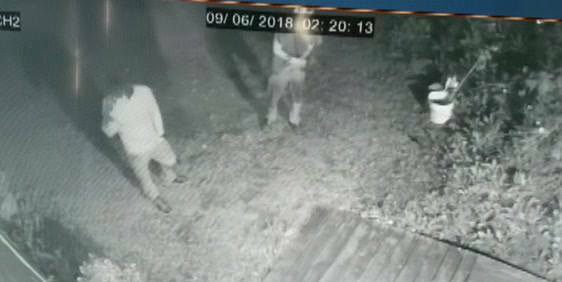 If anyone has information on this theft or who these suspects are please contact Cpl. White with the Raleigh County Sheriff’s Office or CRIMESTOPPERS at 304-255-stop or www.crimestopperswv.com.